The growth and development of a nation depends on the construction and infrastructure industry. Construction and infrastructure is a benchmark by which international bodies decide the value of an area. As a result, it is vital for the construction industry to get the very best manpower in the field. Alliance Recruitment Agency is a leading construction executive search firm which operates in various niches of the construction industry to provide high quality manpower and human resource to organizations across the globe. As a construction executive recruiter, the company has provided the best in talent to hundreds of organizations operating throughout the world; particularly in Qatar, Abu Dhabi and Dubai in the Middle East and in the island nation of Singapore. At Alliance Recruitment Agency, the need for executive search construction and infrastructure industry for organizations is taken care of completely – from selection of candidates to the final on-boarding process. 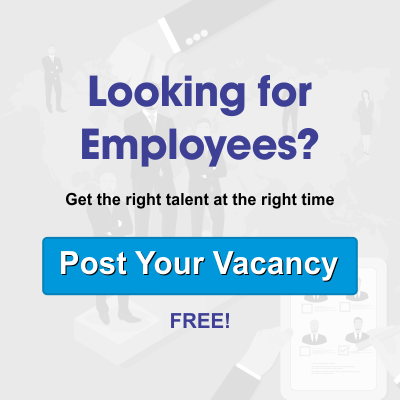 Alliance Recruitment Agency has a wide network of global recruiters who are chosen for their industry experience as well as the ability to connect with top-notch professionals in the desired segment. The company sorts and categorizes profiles not only on the basis of experience, but also on the basis of industry, regional and functional knowledge. This allows Alliance Recruitment Agency to cherry-pick amongst the brightest workers and professionals in the industry. The search for construction executives is one of the most vital tasks for an organization. The construction and infrastructure industry is mainly subdivided into various segments: real estate construction for homes, commercial buildings like offices and shopping malls private infrastructure development such as the construction of factories, warehouses, and landscaping of mining areas and lastly public infrastructure development handled by various government bodies for the development of public roads and transportation; as well as specialized construction such as those of dams and dykes. As construction executive recruiters, Alliance Recruitment Agency has a reputation of providing talent to organizations suited for the particular niches depending on the scope of the project. 1. Project Managers: The construction and infrastructure industry is in constant requirement for top quality project managers who can take charge of the project and ensure that it is completed within the stipulated time and budget. Our company has an in-depth network of top project managers across the world who are well-versed in the regions they serve. 2. Architects: For an infrastructure organization, the role of the architect is crucial in the initial stages of a project. The architect provides the plan of how the project is to be handled by other members of the team and generate designs as per the requirement of both the client as well as the environment. Our company lets organizations search for architects for different types of infrastructure development projects all over the world. 3. Site Engineers: The site engineer is the key individual at the construction site who is in charge of the construction of the project as well as oversee the safety and security of other employees at the site. Site engineers are highly sought after due to the enormous responsibility they undertake to safeguard the interest of the organization. Alliance Recruitment Agency as a construction executive recruiter has a wide array of site engineers in its network with excellent domain knowledge. 4. Specialty Development Executives: In the infrastructure industry, the landscape defines the scope of the project. As such, specialty development executives are some of the most sought-after executives in the construction industry. Specialty development executives are known for their niche at a particular task such as operating a specific equipment such as a boring machine or the know-how to work on the highest skyscrapers. Alliance Recruitment Agency lets organizations search from a wide array of specialists in the field for their exact requirements. For any organization running a construction project; whether it be in real estate or in commercial development, knowledgeable and highly skilled executives are fundamental to the success of the project. Various infrastructure companies across the world rely on Alliance Recruitment Agency to look for the best and the brightest in the industry to create a world-class executive team for their businesses. Let us build yours today!